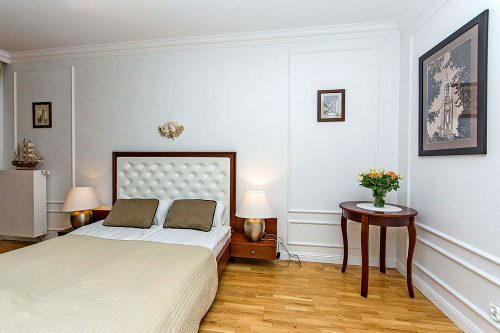 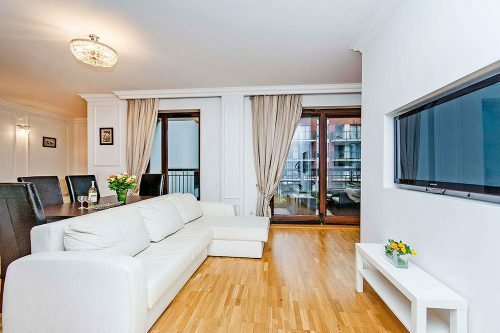 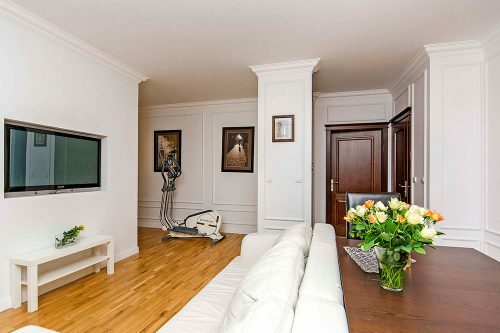 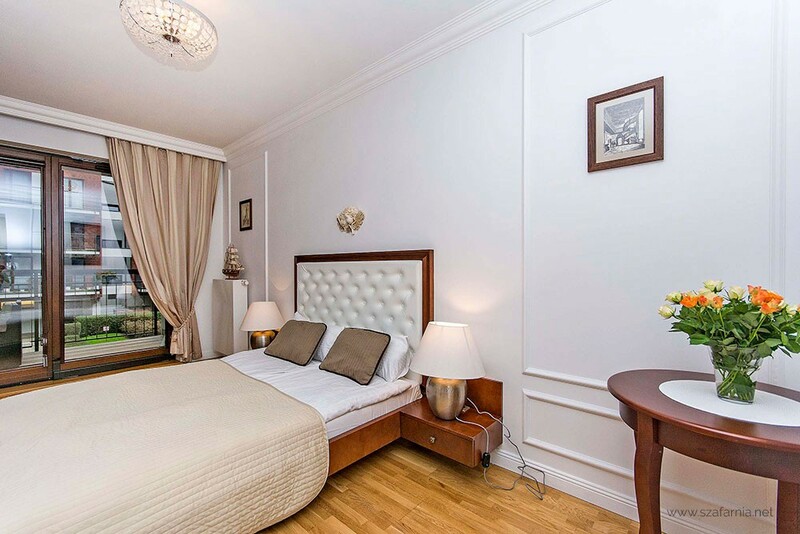 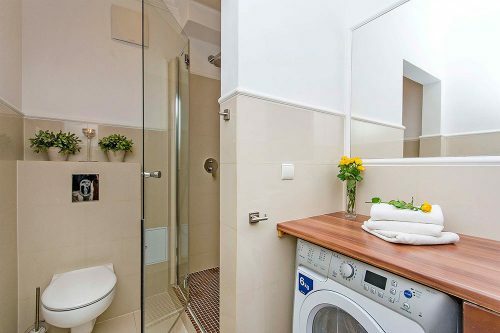 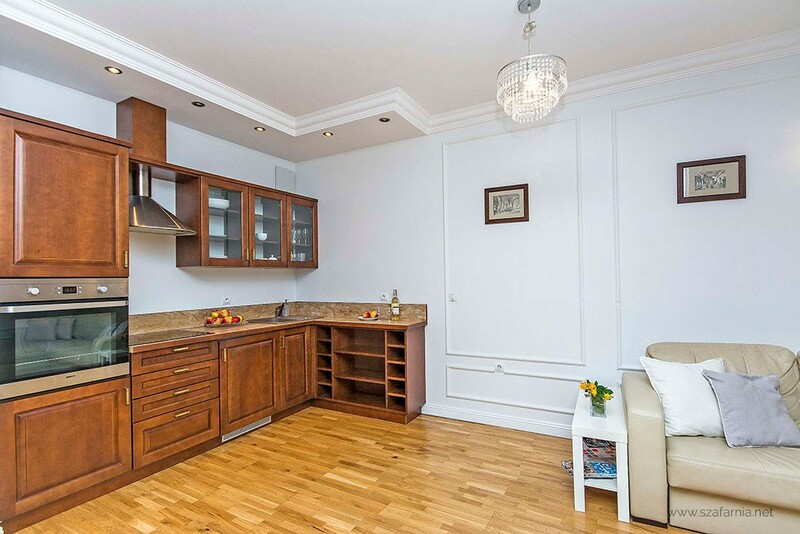 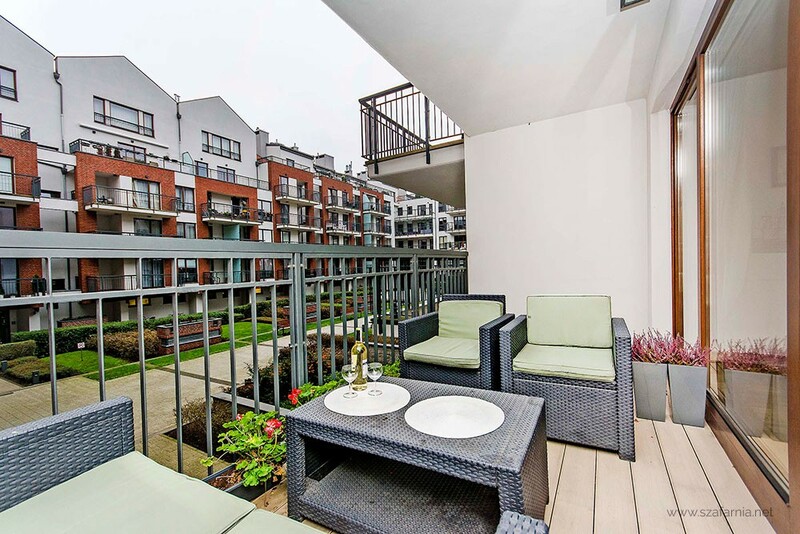 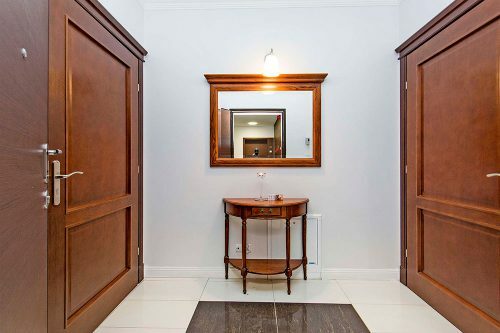 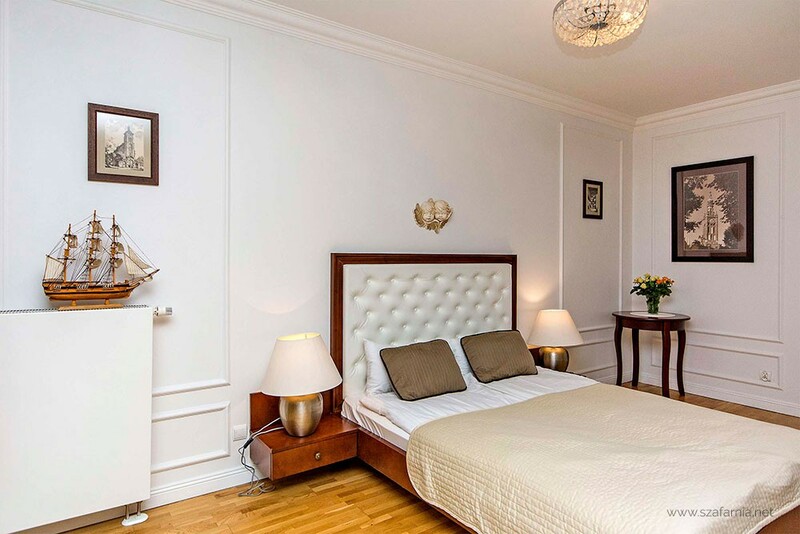 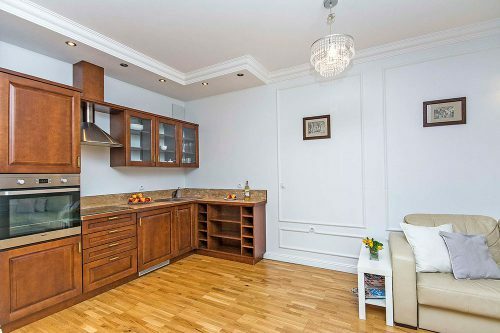 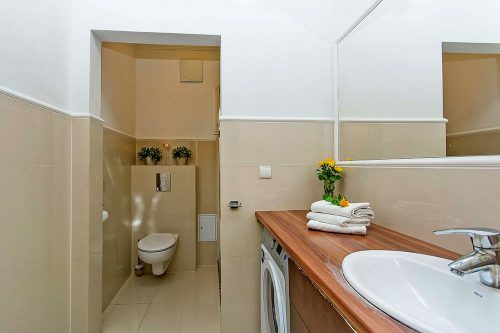 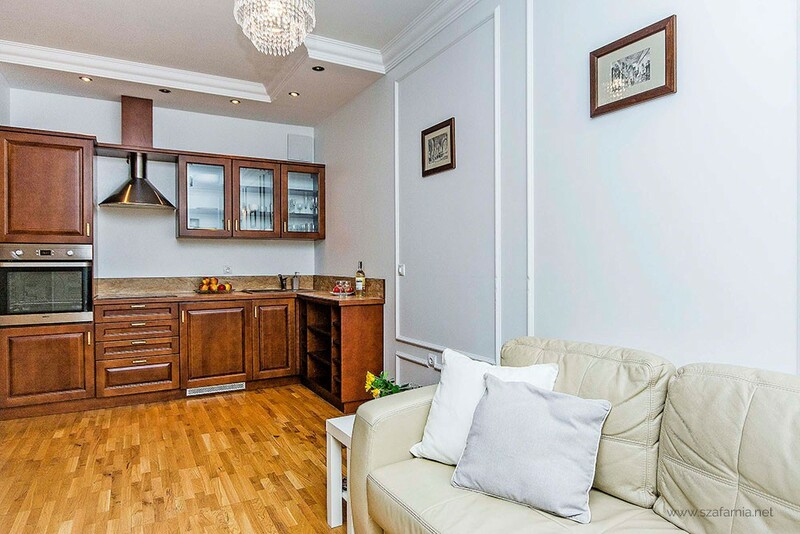 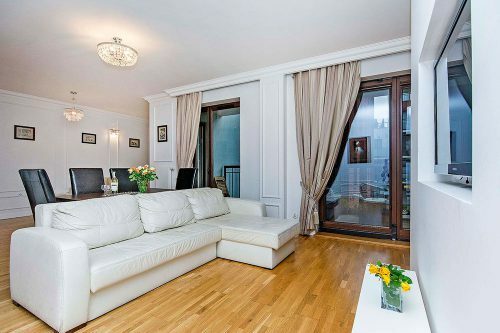 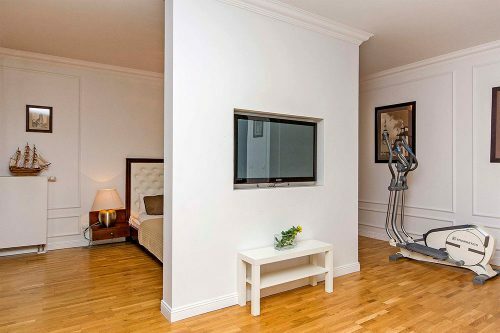 Beautiful, bright and spacious studio apartment is 65 m2 big and is located on the first floor. It is designed in modern-classic style and will appeal to those who like spacious and cozy interiors. 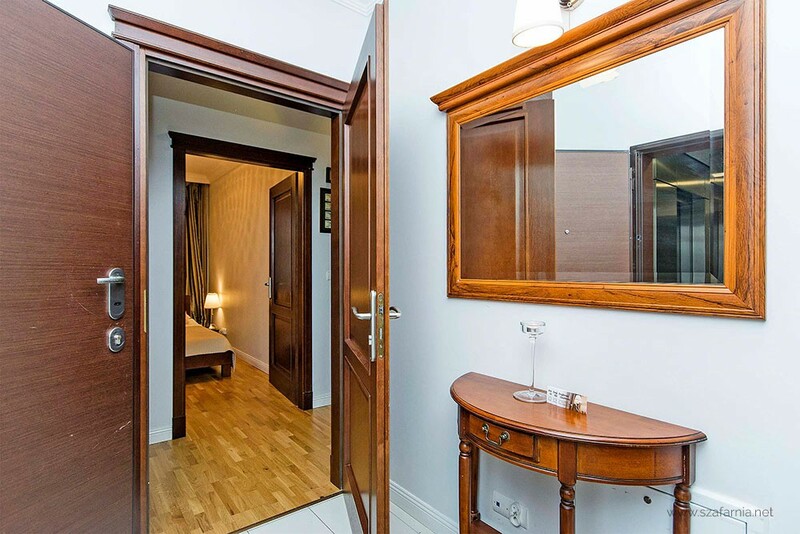 It contains bedroom area with king-size bed, living room with two sofa-beds, bathroom with shower, full equipped kitchen and specious furnished terrace with patio view. This luxury apartment is suitable for families, groups of friends, and even couples and can accommodate up to 6 guests. *Apartment can be rent together with Hanza II apartment and then accommodate up to 10 people comfortably.